One of the original homes in the historic downtown recently renovated with a contemporary design. This stunning villa may be rented as a 4, 5, 6, 7 or 8 bedroom property and includes full staff, professionally decorated, breathtaking views of the town and south Bay, and one of the best art collections outside a Gallery. Spacious terraces take advantage of the climate with various outdoor living and dining areas. 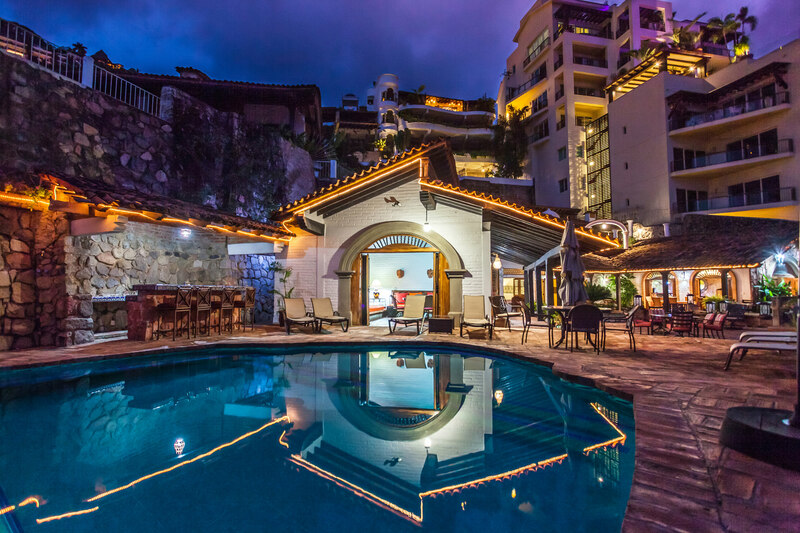 All this luxury is a few steps from some of Puerto Vallarta’s best restaurants, nightlife and shopping and about 10 minutes walk from the very popular Los Muertos Beach.